You are currently browsing the tag archive for the ‘The Wheel of Time’ tag. Mat hurried on, pushing his way out into the shaded noon, though he did catch a glimpse of Talmanes rolling his eyes. Burn the man! There was good drama in those pages! Generally speaking I select a quote from the early section of a book, illustrating a particularly descriptive event that captures the overall style of the book. For this latest entry in Robert Jordan‘s long-running The Wheel of Time saga I made an exception. Having passed away after a long illness in 2007 many fans assumed the series itself would remain unfinished. 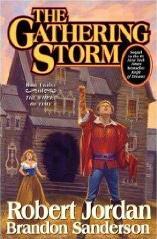 Then word was received that Brandon Sanderson had been chosen to complete the books. 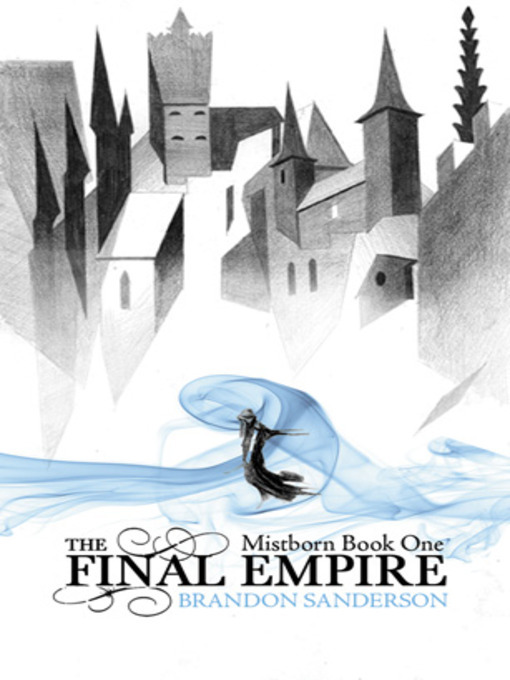 I will explain below why I chose the quote, but let me add, as I mentioned in my review of Sanderson’s Mistborn series linked to above, that I began reading Robert Jordan a long time ago. In fact it occurs to me that I only continue to read this series because I need to know how it ends, after spending most of my early adolescence pouring over the series. As such, a quick note on The Wheel of Time itself. Initially starting out as a fantasy novel in the Tolkien-mode, with three young men from a village being hunted by the evil forces of a satanic presence known as The Dark One, the series developed by giving greater focus to court intrigue and war. Rand al’Thor, Perrin Aybara and Mat Cauthon are all ta’veren, which relates to the mystical underpinning of the books, each of them capable of influencing what is referred to as The Pattern, the fabric of creation itself. Not only is Rand the most powerful of the three ta’veren, he is also the reincarnation of an enemy of The Dark One named The Dragon. Certain men and women in Jordan’s fantasy universe, like Rand, have magical powers, relating to two counterbalancing sources known as saidin and saidar. As he has accepted the role of Dragon Reborn, Rand has been declared a messiah by some and a force of chaos by others. For the majority of the series he has been attempting to unite the various kingdoms to fight against The Dark One, who is destined to be freed in an event known as Tarmon Gai’don, the Last Battle. Enemy agents, referred to as Darkfriends, monsters and religious bigots have hunted and harried Rand throughout, as well as conspiring to prevent the kingdoms from joining forces. Sanderson ably maintains the tone of Jordan’s previous novels and concludes a number of subplots that had been dangling for some time. Rand’s grasp on sanity is becoming increasingly perilous, which he has been forced to acknowledge to some of his allies. Perrin and Mat are finding themselves pulled by the Pattern against their will to join their childhood friend as the date of the Last Battle approaches. The Aes Sedai, an order of women who practice saidar, are forced to defend their base of Tar Valon from a foreign invasion. The speed of events has certainly picked up considerably in this book. However, I chose the above quote because that is one of the few moments when I feel Sanderson’s voice entering the writing. For the most part he imitates Jordan, who sadly had increasingly begun to rely on tiresome clichés and stock situations. There is a very slight critical tone to the proceedings, as Sanderson clears out the accumulated plot-dross of nineteen years. The Wheel of Time has been mocked for its depiction of the battle between the sexes, its repetitive prose and inflationary cast, but I am going to finish this series despite my embarrassment at having read it for so long! The devoted fanbase has waited a long time and while the occasional rock album raised a chuckle – take a bow Blind Guardian – the Last Battle is long overdue. Wait, today is the Rapture? Dammit! !